I just held a workshop where we discussed the many ingredients that are in our makeup today, emphasizing why natural homemade makeup recipes are a great resource. It quickly becomes apparent that what’s on that makeup brush really does make a difference in your overall health. We have thresholds that don’t like to be crossed. Many women have joint pain, headaches, hormonal problems, and unexplained fatigue that can largely be alleviated just by a change in diet and chemical exposure. 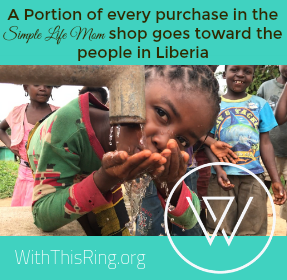 To put this in perspective, think of just one toxin: parabens. Parabens are used as a preservative in foods and cosmetics. They pose as estrogen in your blood stream. Your body responds to this extra estrogen, resulting in estrogen dominate symptoms like year round PMS, soreness, aches, pains, not to mention feeding estrogen responsive breast cancer cells. That’s just one ingredient. Paying attention to ingredients matters! 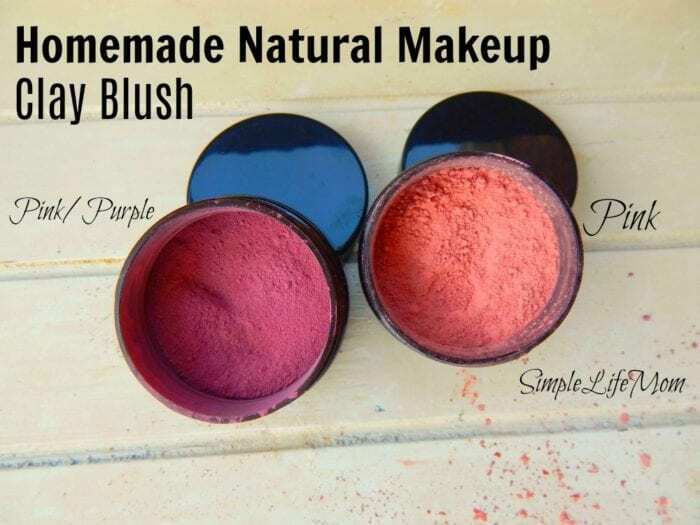 Having a list of natural makeup recipes is frugal and a great resource. 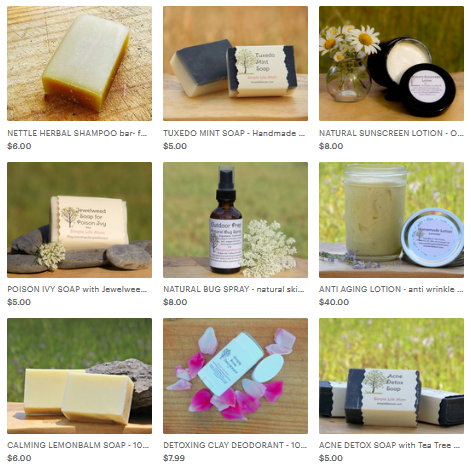 I have a lot of natural makeup recipes on my site. I keep trying to replace everything I can imagine with homemade, pure versions. Most of these can be found in My Shop as well. 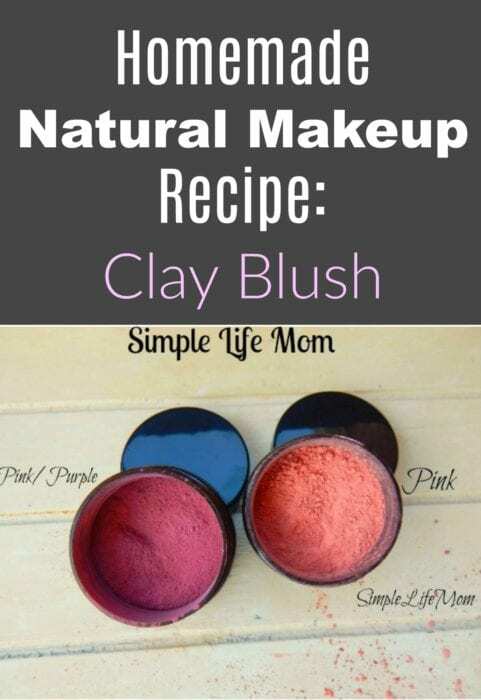 Adding to this list is a natural clay recipe for blush. It’s simple, really pretty, frugal, and versatile. 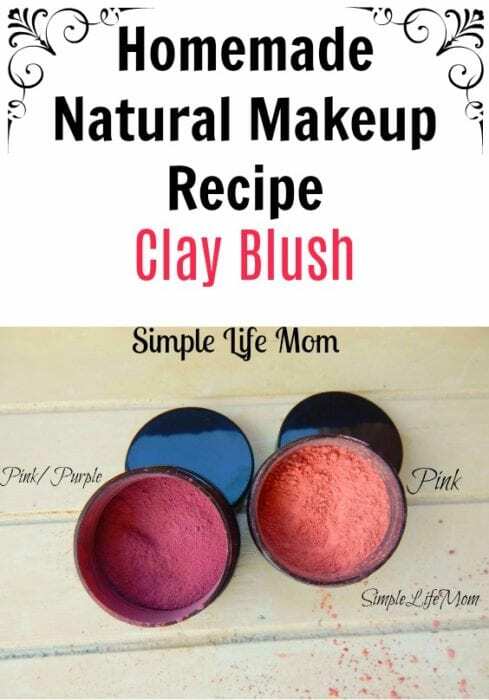 For a completely natural and healthy blush, I like to use rose clay to create a pink base, and then tint it toward red or purple using other ingredients like alkanet root powder or orange Moroccan clay. It’s really that simple. Add 2 oz of rose clay to a 2oz container with a lid. Want to make it a brighter pink, consider adding some beet root powder, 1/2 tsp at a time until the desired color is reached. Or find it in my Shop. Add 1-1/2oz of rose clay to a 2 oz container with a lid. Add 1/2 oz alkanet root powder or hibiscus powder, close the lid and shake well. Want to make it a brighter pink, consider adding some beet root powder, ½ tsp at a time until the desired color is reached. Add ½ oz alkanet root powder or hibiscus powder, close the lid and shake well. Or find them both in my Shop. What is the shelf life of the clay blush? Thanks. It’s clay so it can keep indefinitely, but seeing that we introduce bacteria into products I wouldn’t keep longer than a year.